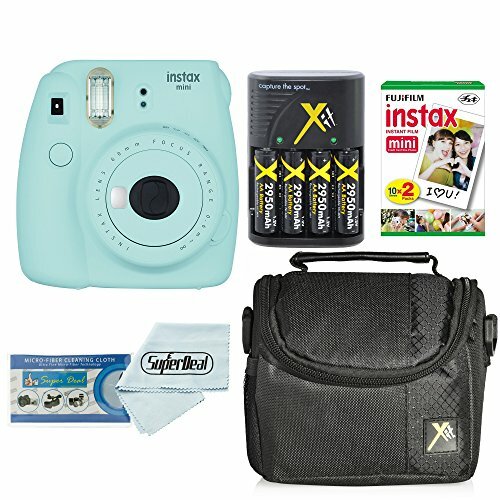 The new Fujifilm instax mini 9 instant film camera retains the ease of use and attractive design elements of the extremely popular instax mini 8 while adding five new exciting colors and a couple of new features. 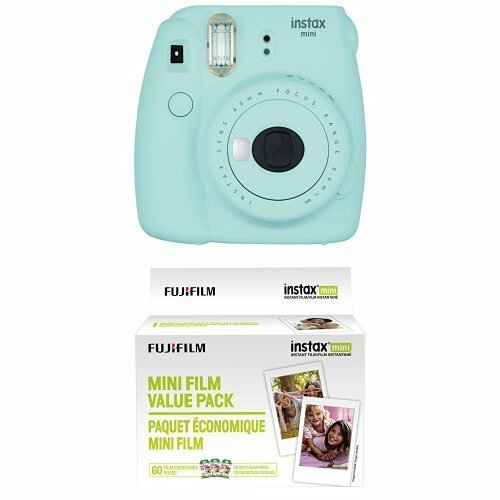 The instax mini 9 features a selfie mirror for the perfect selfie photo every time. Close up macro photos are now easier thanks to the included close-up lens adapter which allows you to focus on subjects as close as 35-50cm. 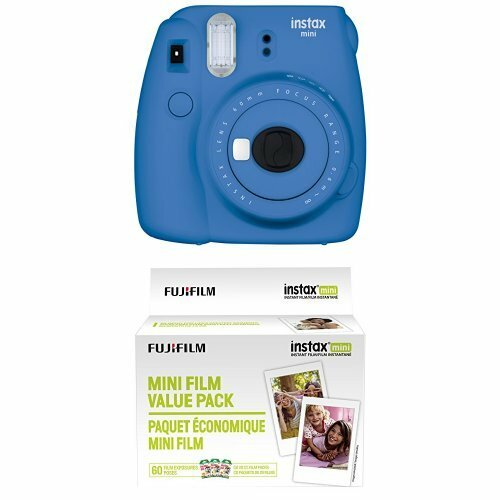 The instax mini 9 retains all of the other great features found in the mini 8 including: Automatic exposure measurement. The camera signals the recommended aperture setting with a flashing led light and the user can manually adjust the dial to the recommended setting. This helps the user capture the perfect photo every time. The high-key mode enables consumers to take brighter pictures with a soft look -perfect for portraits. Helps capture the perfect photo every time.. YOUR SATISFACTION IS OUR #1 PRIORITY – Your new camera and accessories set should bring you complete satisfaction. That’s why we offer you our amazing 30-Day Money Back Guarantee combined with unbeatable customer service. At the slightest sign of any issue, just contact us and we’ll make it right. We guarantee it.